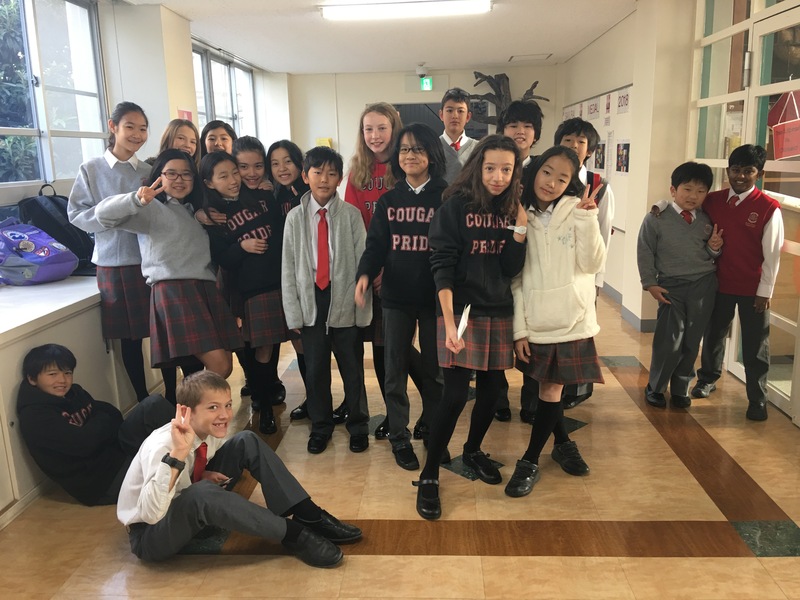 The Sakura Medal is an annual reading programme in international schools across Japan that encourages students to read and enjoy recently published books from an international list selected by librarians. 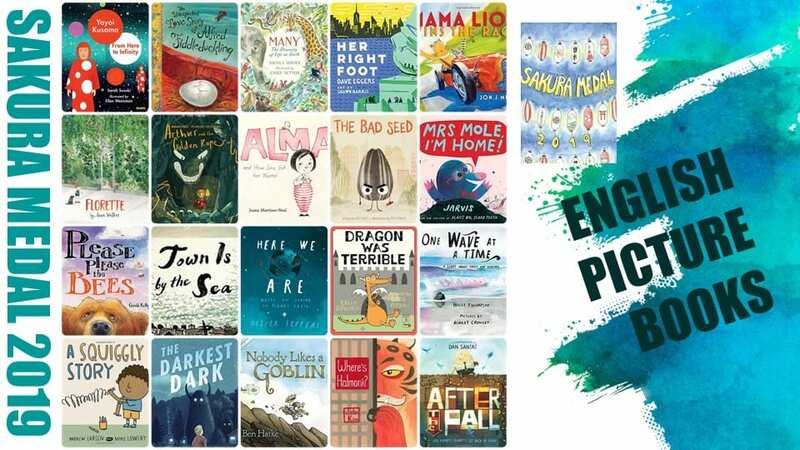 At Saint Maur we are participating in the English Picture Book category for grade 2 students, the English Chapter Book category for students in grades 3 to 5, as well as English Middle and English High School categories for secondary students. Wednesday, April 10th – final day for borrowing books. 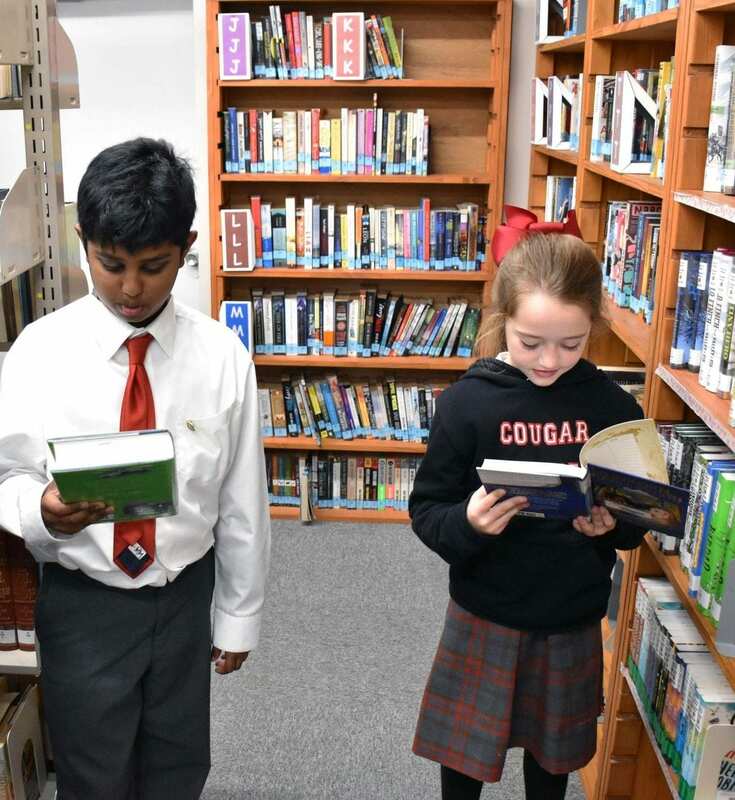 Wednesday, April 17th – all books returned to the library and reading tallies finalised by homeroom teachers. Wednesday, April 24th – voting party held in library, period 3. Thursday, April 11th – last opportunity to borrow books. Thursday, April 18th – all books and signed slips returned to library. Monday, April 22nd – party invitations issued. Thursday, April 25th – voting party held in library, period 3. Tuesday, April 9th – last opportunity to borrow books. 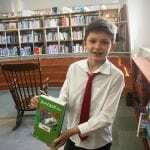 Tuesday, April 16th – all books returned to library and reading tallies finalised by English teachers. Thursday, April 18th – party invitations issued. Tuesday, April 23rd – pizza voting party held in library, period 4. 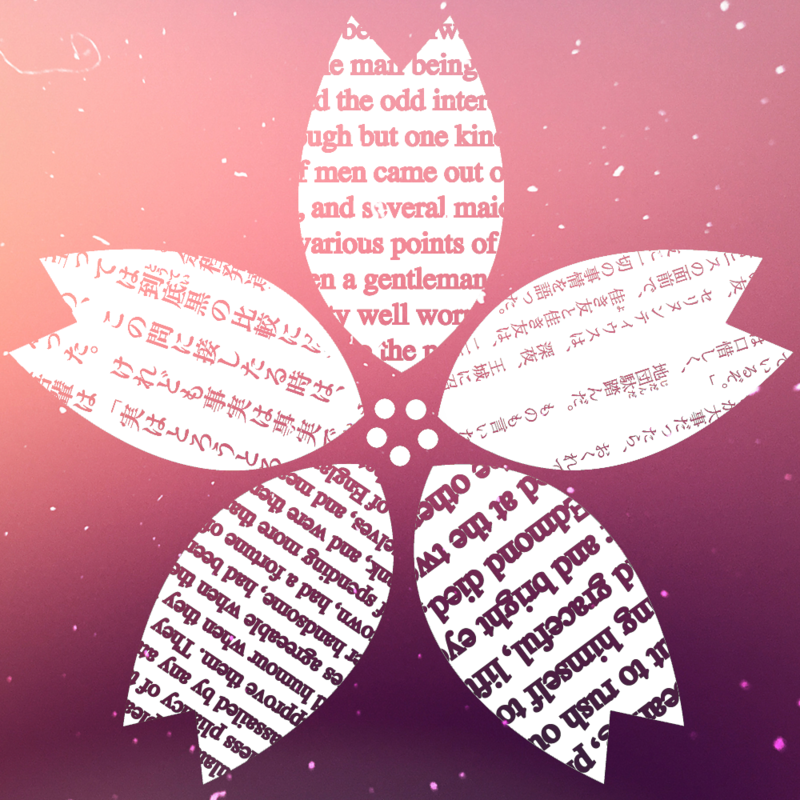 Wednesday, April 17th – reading tallies finalised by English teachers. TBA – participants invited to a local cafe for coffee and cake. 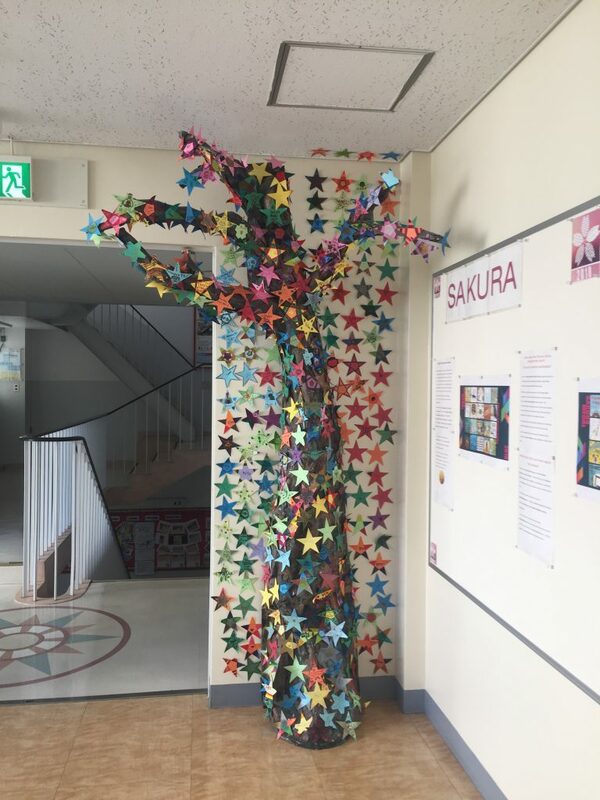 This week the second grade students finished their first Sakura Medal book and Mrs Levy joined the students in adding the first of many stars to our Sakura tree. Yesterday we launched the Picture Book programme with our grade 2 classes. 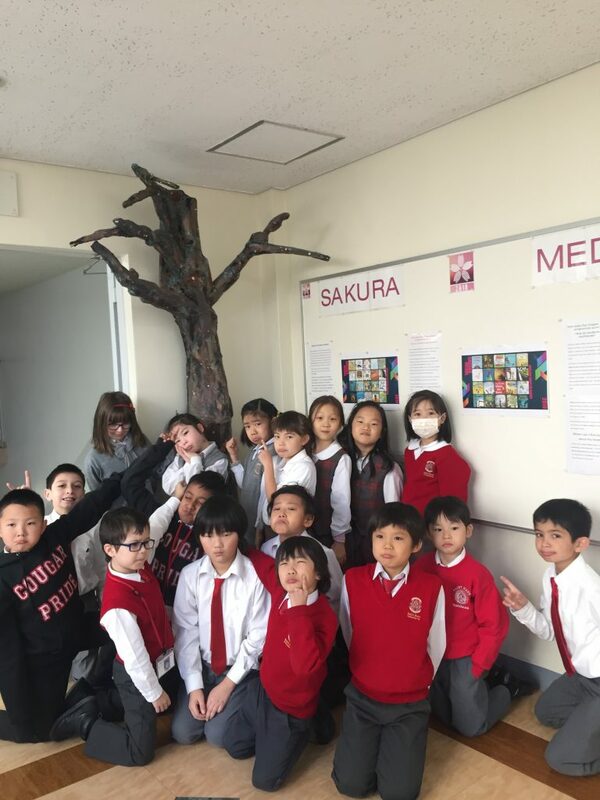 The students had fun posing with sad faces in front of the (as yet undecorated) Sakura tree. Their sadness turned to joy at the prospect of reading the books on the shortlist and adding stars to the tree. It’s only been a couple of days since we launched the Chapter Book programme and already we have three students who’ve read their first book. There is some seriously good reading going on in our Elementary School! 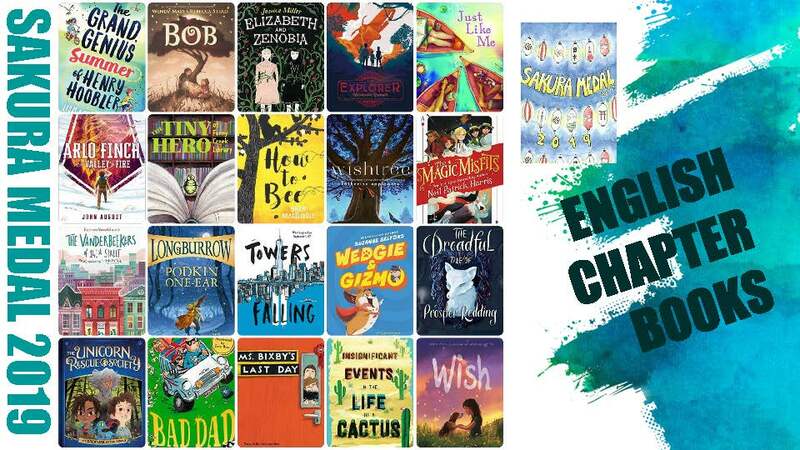 This afternoon, after school we launched the Chapter Book shortlist for our students in grades 3-5. 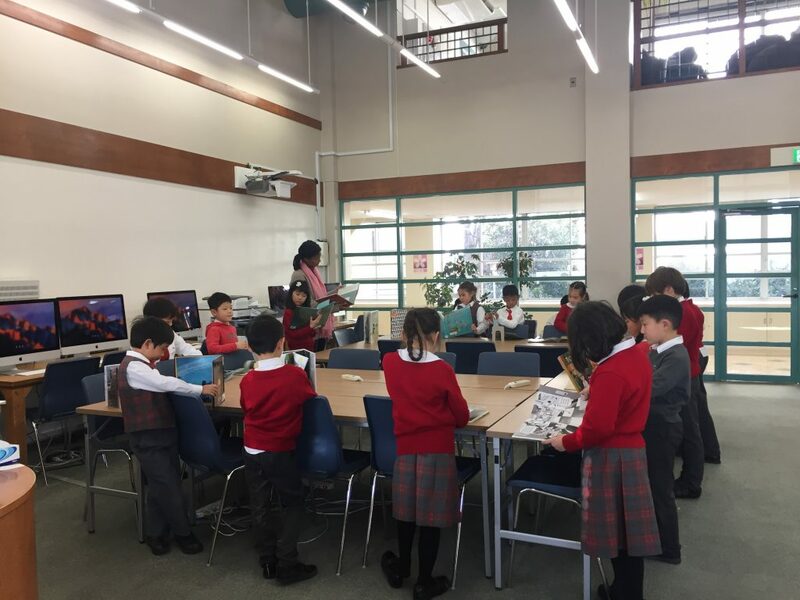 Although it was the smallest number of students we’ve seen at a Chapter Book launch, they were very enthusiastic about the books they had chosen to read. 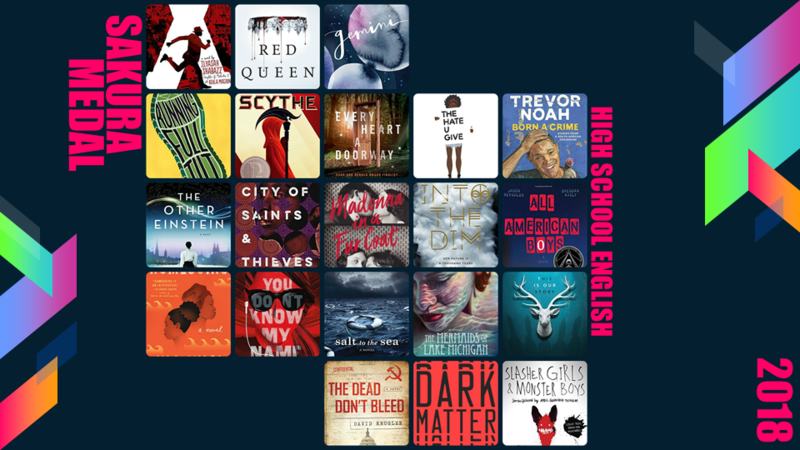 Today the books in the High School shortlist are going out on the Sakura shelves ready for borrowing from Monday onwards. 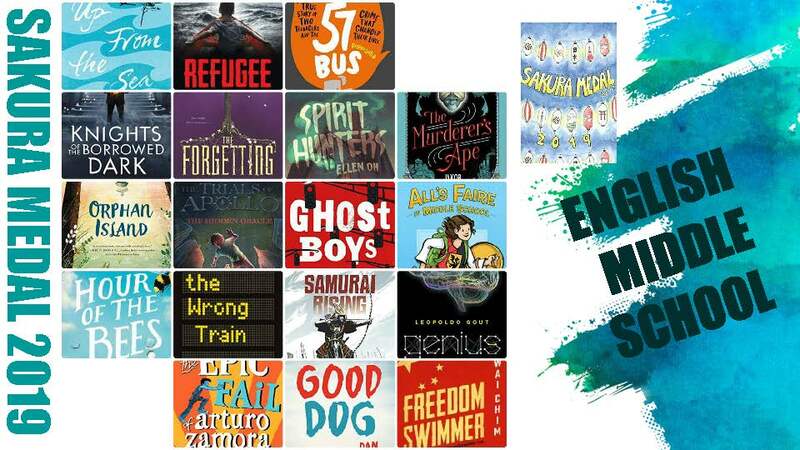 Today we’re launching the Middle School shortlist for the 2019 Sakura Medal. The votes have been counted and the winners announced. 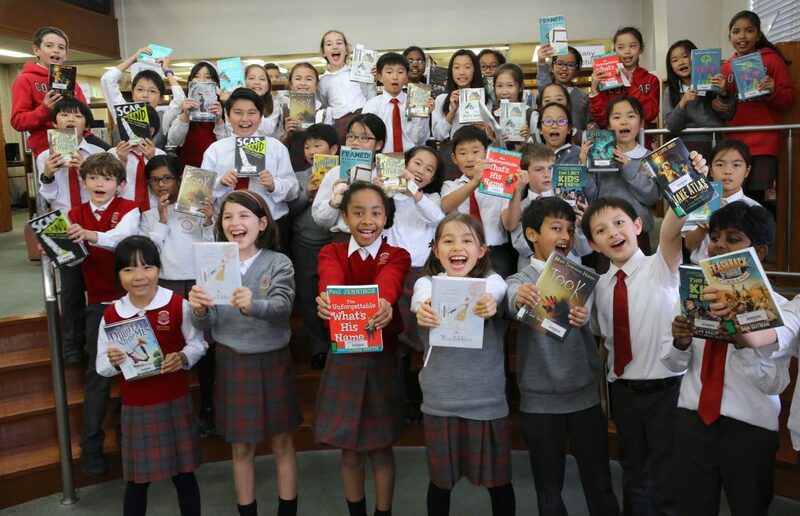 In all, 4308 votes were cast by students across international schools in Japan, reading in the Picture Book, Chapter Book, Middle School and High School categories. The winning book in the High School category is Scythe by Neal Shusterman. This is the second Sakura Medal honour for this author; his book Unwind won the Middle School prize in 2009. 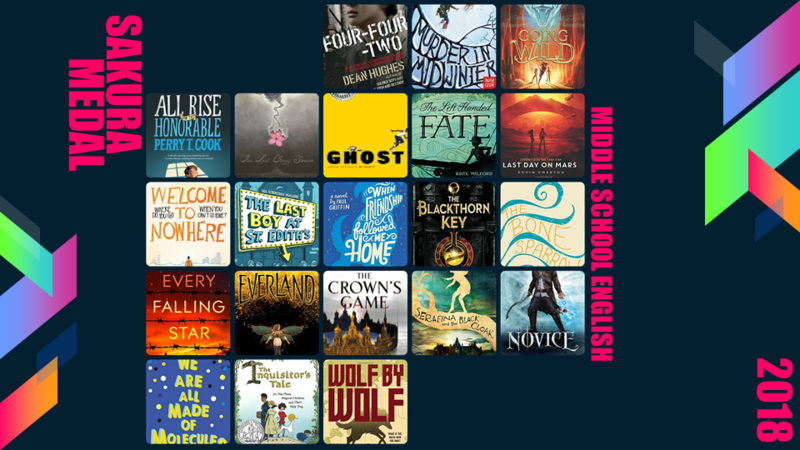 The Middle School winner this year is The Novice by Taran Matharu. This is the first book in the Summoner fantasy series. 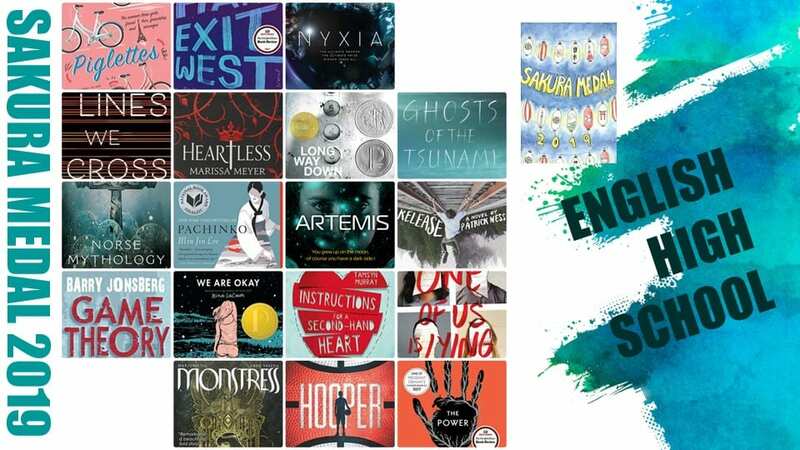 The Last Kids on Earth was a landslide winner in the Chapter Book category for author Max Brallier and illustrator Douglas Holgate. The Picture Book winner this year is The Legend of Rock Paper Scissors by Drew Daywalt; illustrated by Adam Rex. 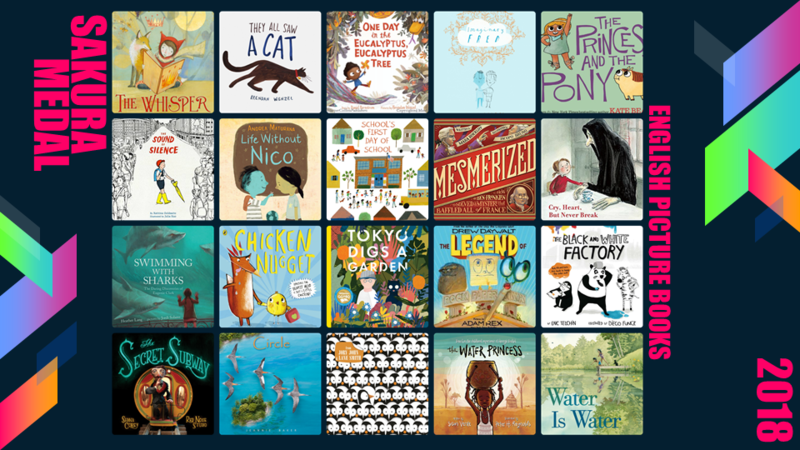 Drew Dayalt and Oliver Jeffers won the 2015 Picture Book Prize for The Day the Crayons Quit. 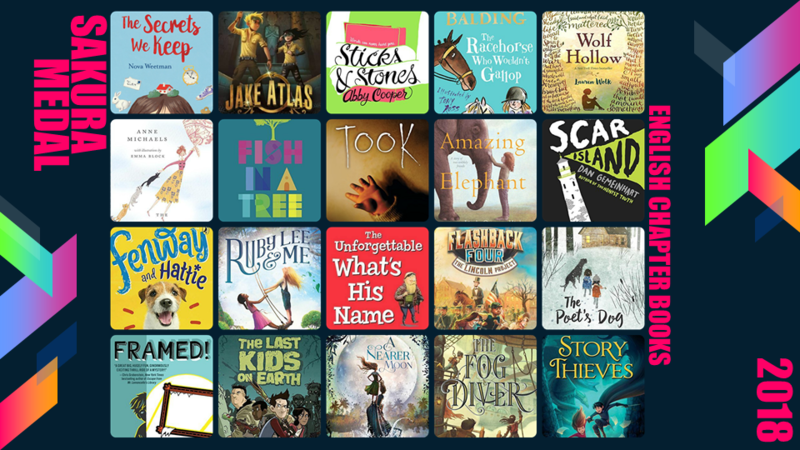 All the shortlisted and winning books are back in the library collection and available for borrowing. 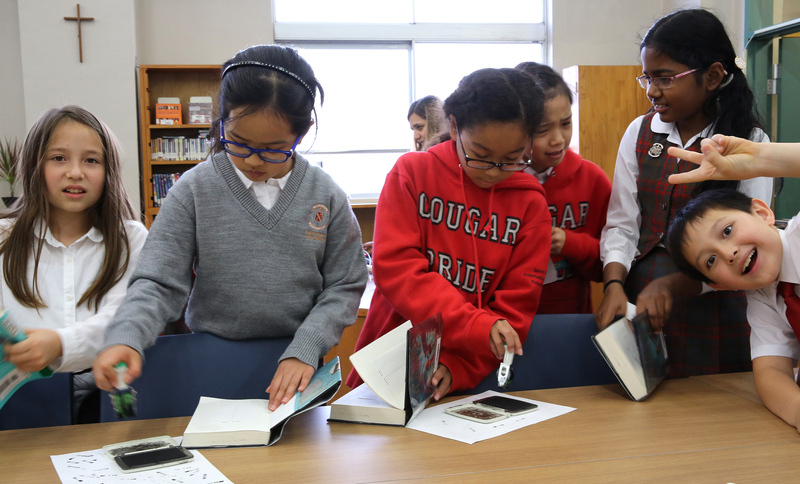 It’s been a busy time in the library with voting parties for our Sakura readers in Elementary and Middle School. Chapter Book readers did very well to meet the challenge of the programme and celebrated at their voting party yesterday. 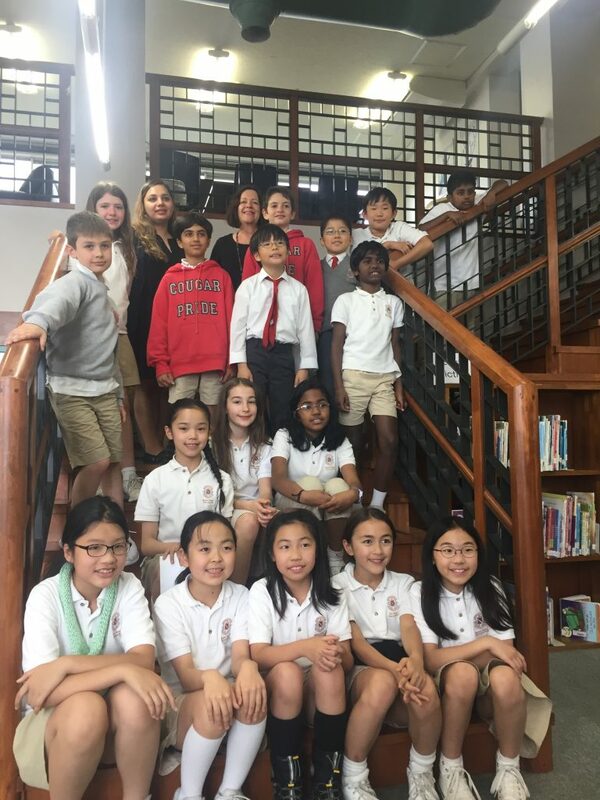 Last Kids on Earth received the most votes from our Sakura stars in Grades 3-5. 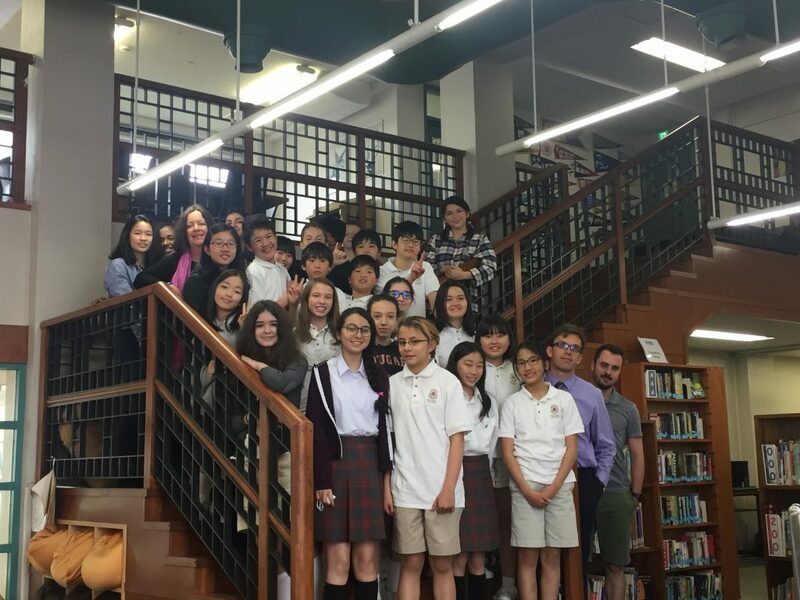 Middle School readers were treated to pizza in the library when they came to vote. Three books received the top number of votes: The Crown’s Game, Ghost, and When Friendship Followed Me Home. Our Picture Book readers were excited to attend their first Sakura party and voted enthusiastically. Chicken Nugget came out as the most popular read with our Grade 2 voters. 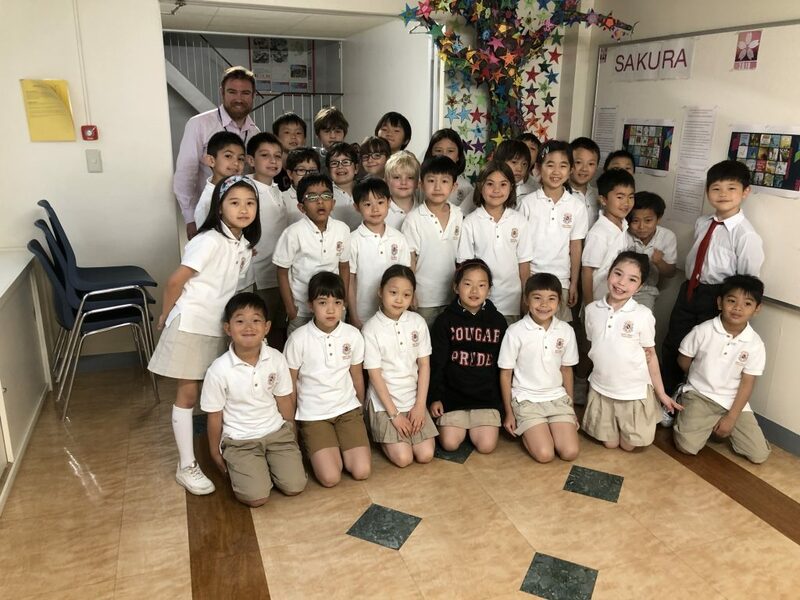 Our Grade 2 students read voraciously throughout the programme and are rightly proud of their beautifully decorated Sakura tree. 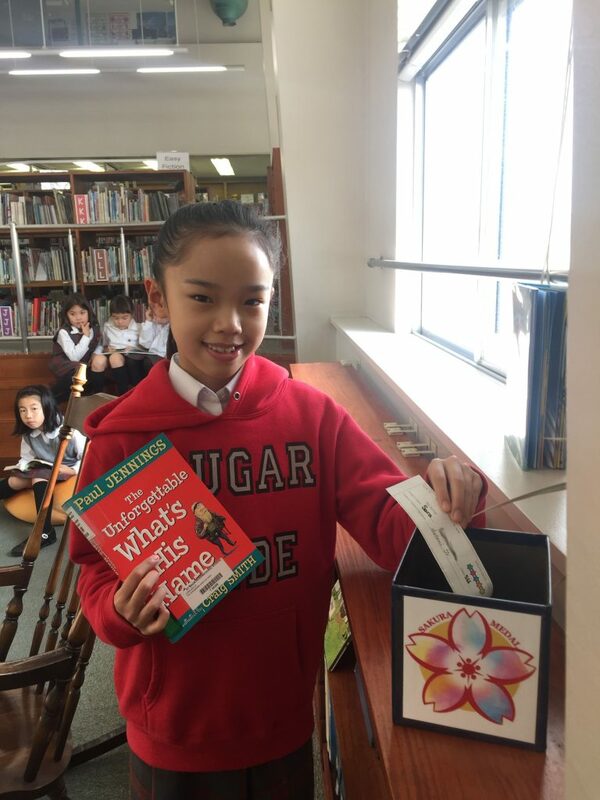 Other international school students in Japan are also voting for their favourite Sakura Medal books, and the winners of the 2018 Sakura Medal will be known after our Golden Week holiday. Watch this space. Wednesday, April 11th – last opportunity to borrow books. Wednesday, April 18th – all books and signed slips returned to library. Monday, April 23rd – party invitations issued. Wednesday, April 25th – voting party held in library, period 5. Tuesday, April 3rd – last opportunity to borrow books. 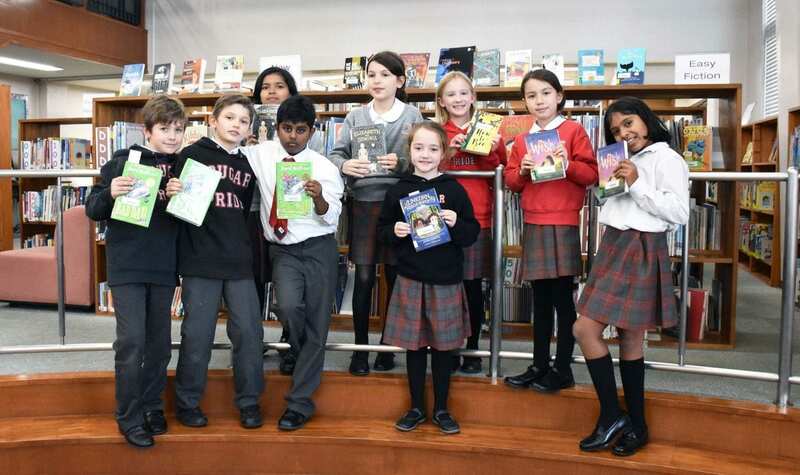 Tuesday, April 10th – All books returned to library and reading tallies finalised by English teachers. Friday, April 13th – party invitations issued. Tuesday, April 17th – pizza voting party held in library, 12.30 p.m.
Friday, April 20th – reading tallies finalised by English teachers. TBA – Participants invited to Under Bluff Cafe for coffee and pastries. Wednesday, April 11th – final day for borrowing books. Wednesday, April 18th – all books returned to library and reading tallies finalised by homeroom teachers. 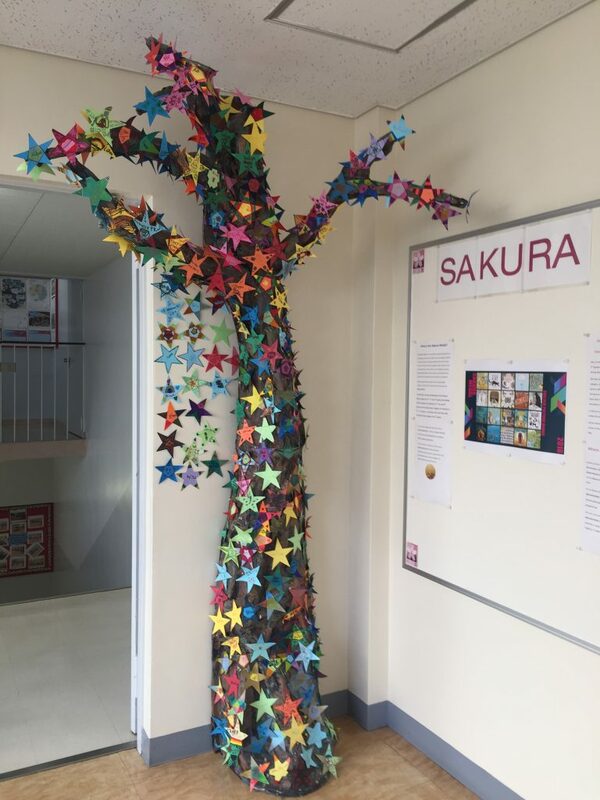 Our Sakura tree has blossomed! 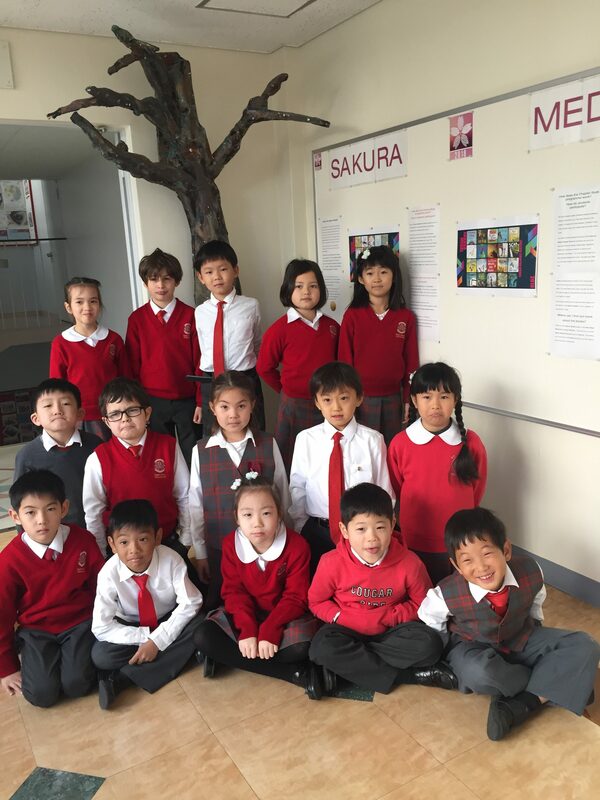 There’s a lot of Sakura Medal reading going on in Grade 2. This week we launched the Picture Book programme with our Grade 2 students. They came to the library to preview the shortlist and choose a book to take home. 2N previewing the shortlisted books. 2H previewing the shortlisted books. 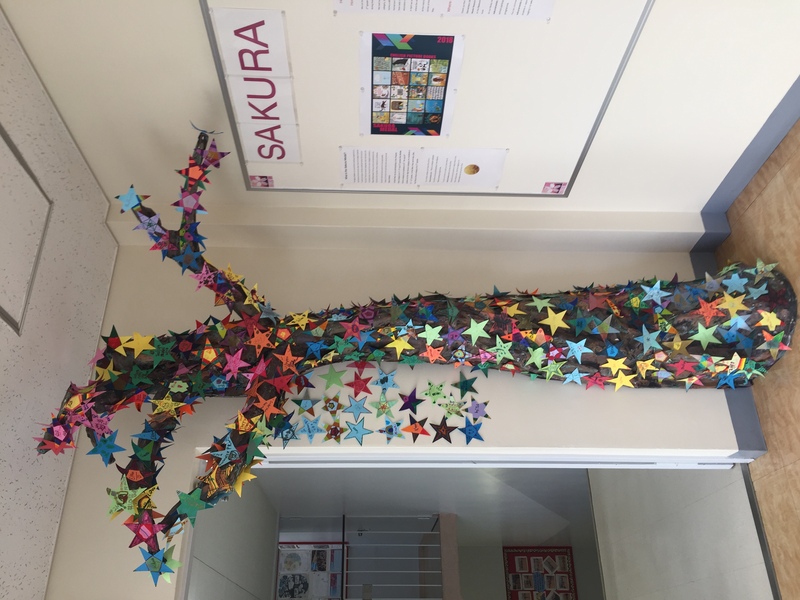 Our Sakura tree is looking very bare, but that will change once the students start reading, as they will decorate a star to put on the tree each time they finish a book. 2H looking sad about the bare tree. 2N mostly unhappy with the bare tree. 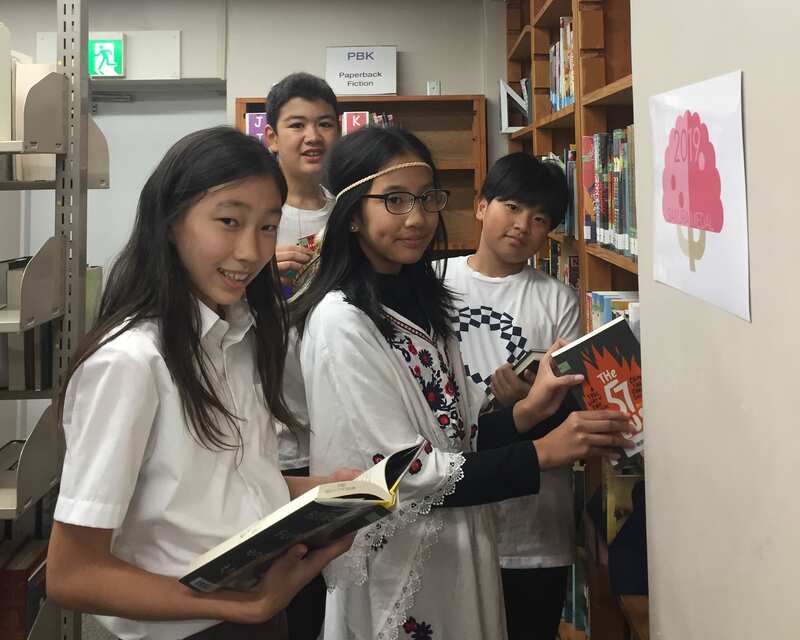 Middle School students were queuing outside the library on the first day of borrowing. 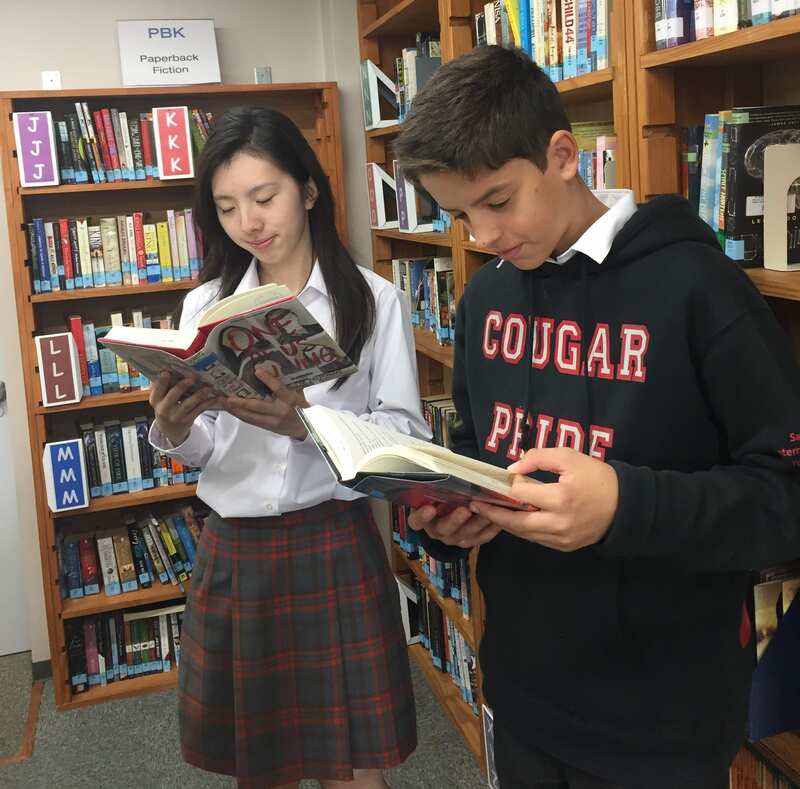 There’s a lot of reading going on – the Middle School shelves are empty, and students are also reading on library Kindles. MS (and a few ES) students waiting for the library to open on the first day of borrowing. 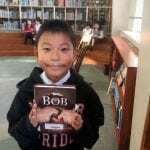 Elementary School students are also enjoying the Chapter Books. It was very busy after school at the Sakura Medal launch. 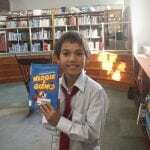 Sara in Grade 5 was the first student to finish a Sakura Medal book, giving The Unforgettable What’s His Name five stars. Sara submitting her completed Sakura slip. 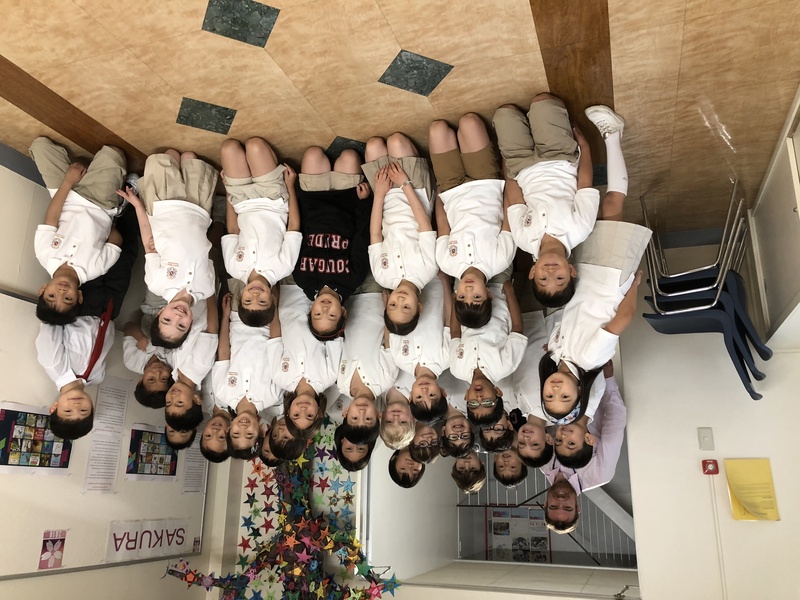 The Sakura Medal is an annual reading programme in international schools across Japan that encourages students to read and enjoy recently published books from an international list selected by librarians. 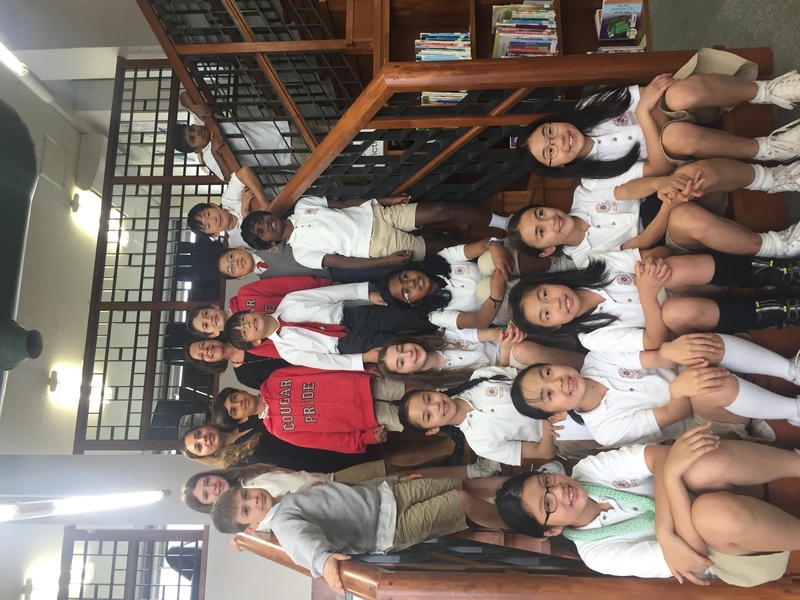 At Saint Maur we are participating in the English Picture Book category for grade 2 students, the English Chapter Book category for students in grades 3 to 5, as well as English Middle and English High School categories for secondary students. 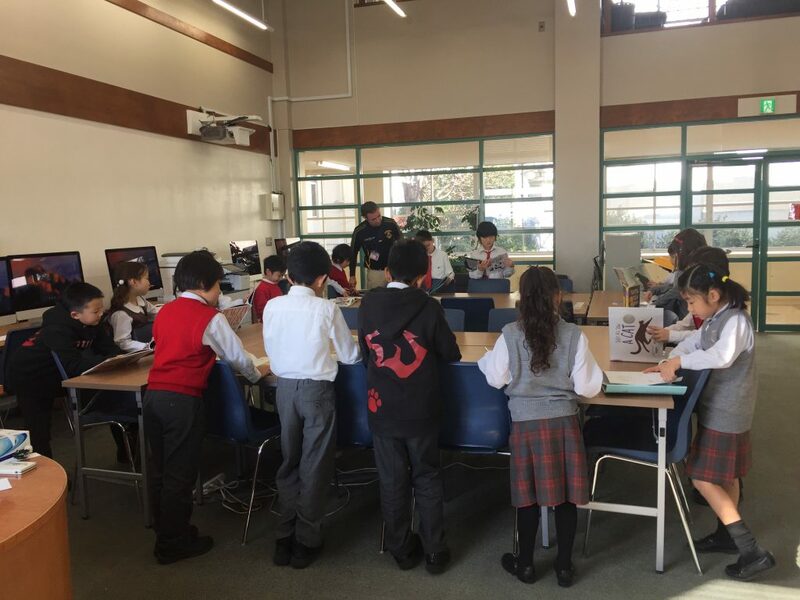 If you’re prompted for a password please email library@stmaur.ac.jp with your full name, homeroom, and the online resource you need access to.